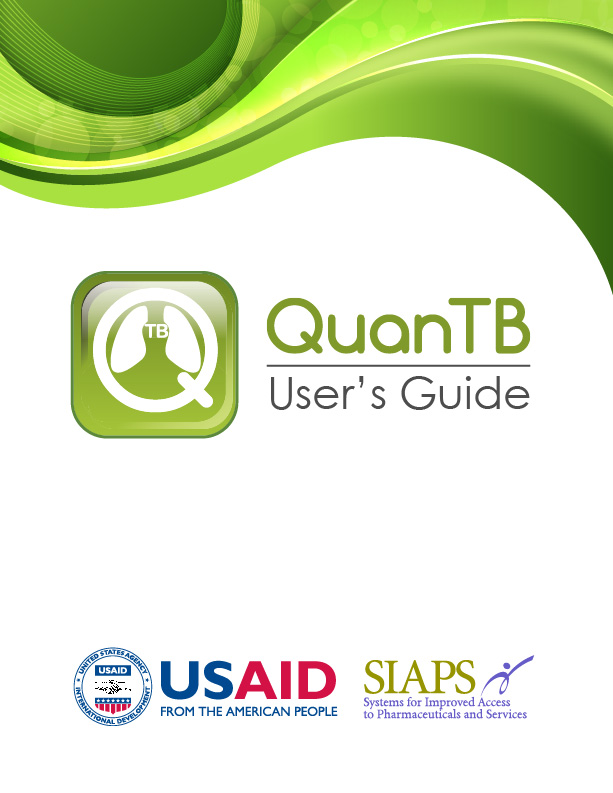 Ensuring that patients have continuous access to tuberculosis (TB) treatment requires complex projections and calculations by program staff. It is becoming more challenging to make these predictions because new diagnostic devices rapidly increase the number of individuals diagnosed, which impacts the quantity of medicines needed. In addition, when treatment regimens change because new medicines or guidelines are introduced, national programs must carefully plan how to phase medicines in and out to minimize stock-outs or expiries. 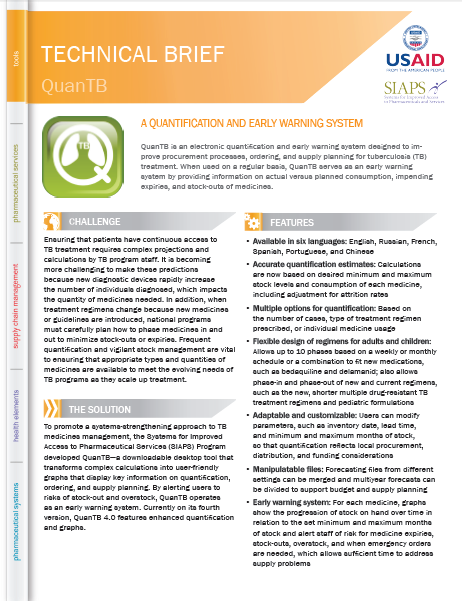 Frequent quantification and vigilant stock management are vital to ensuring that appropriate types and quantities of medicines are available to meet the evolving needs of TB programs as they scale up treatment. Before upgrading or reinstalling QuanTB please click here. Avant d’effectuer la mise à jour ou de réinstaller QuanTB, veuillez cliquer ici. Antes de atualizar ou reinstalar o QuanTB, por favor clique aqui. Перед началом обновления или переустановки QuanTB нажмите сюда. Antes de actualizar o reinstalar el QuanTB, por favor haga “clic” aquí. 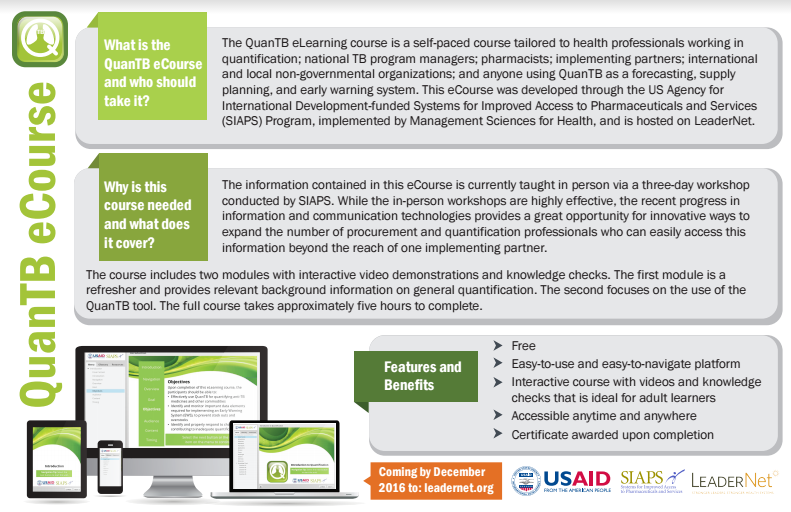 If you have questions or want to give feedback, please contact us at QuanTB@msh.org.